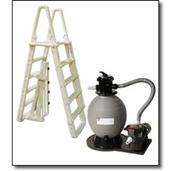 ABOVE GROUND POOL EQUIPMENT PACKAGES. 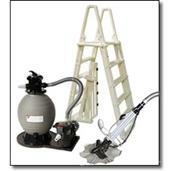 Adding a new above ground pool equipment package is easy with our pre-assembled equipment packages. 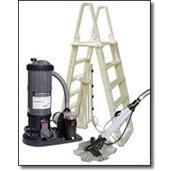 We saved you the work of putting together your ABOVE GROUND POOL EQUIPMENT PACKAGE so you can start using your new above ground pool right away. 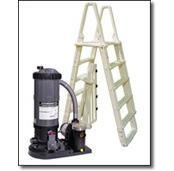 We assembled our equipment packages by pool size and budgets. Our Standard, Premium, Supreme and Ultra Pool Equipment Packages have been tailored to work within your budget and are completely compatible with ALL of our above ground pools. 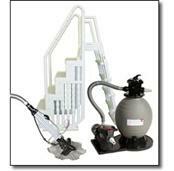 Call us today to help you decide which above ground pool equipment package is best for you! Need Help? 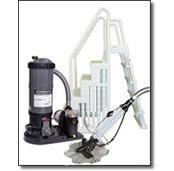 Call us toll free for Expert Advice customerservice@pcpools.com.